Focus and consolidate a complex value proposition. 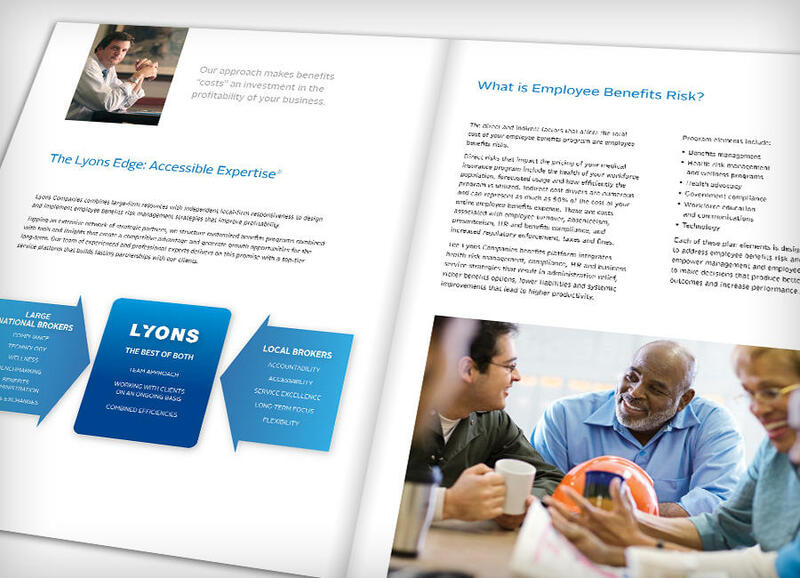 The Lyons Employee Benefits brochure crystallizes the advantages of a unique approach that translates benefits “costs” to an investment that delivers long-term business profitability. 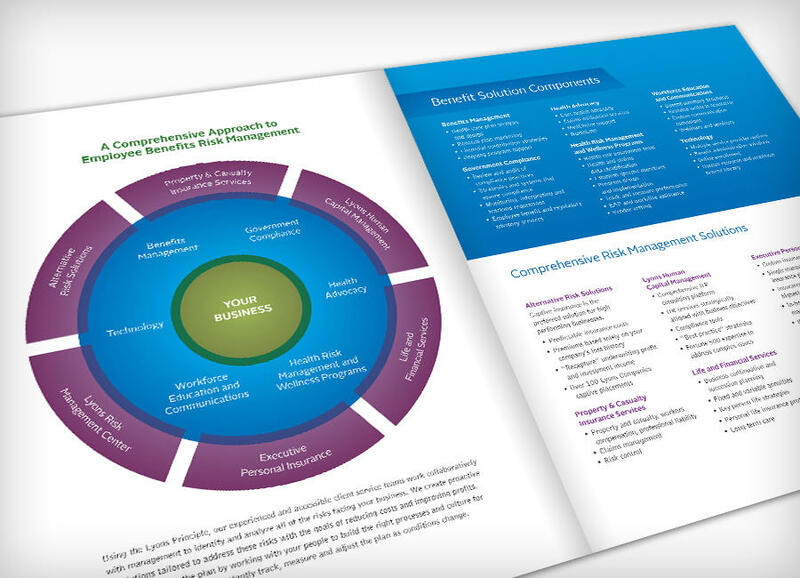 Compelling content and powerful information graphics illustrate the combined large-firm resources and independent local-firm responsiveness Lyons uses to design and implement employee benefits risk management strategies that improve business performance. 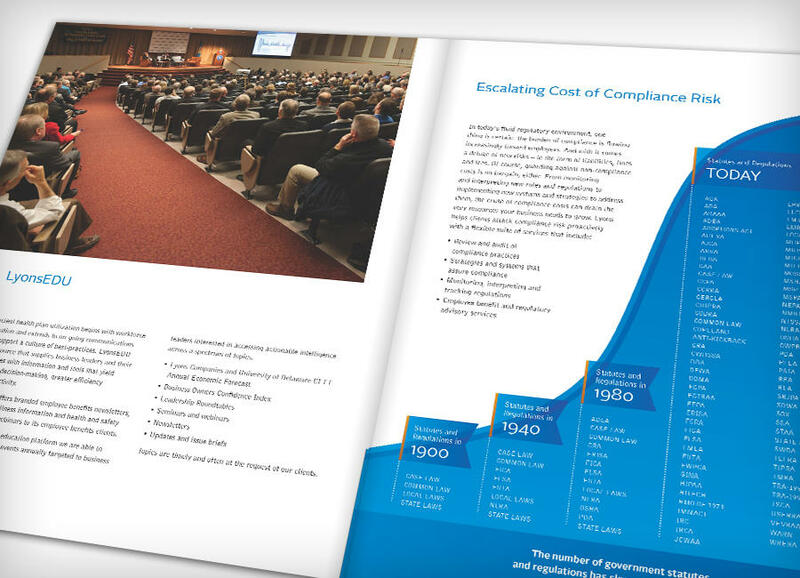 The brochure is a particularly effective marketing tool as a support for in-person meeting and presentation scenarios.